Lessons are sometimes learned from being in the right place at the right time. Some call it timing, but I choose to believe that if you grow where you’re planted, you can blossom anywhere. This past week I spent some time in Austin, Texas, with the Unstoppable Craig Conrad. We were the guests of a school-for-profit company with six campuses across the Lone Star State. Craig has been gracious enough to help me make use of my master’s degree in curriculum and instruction to act as a consultant when he is rolling out some of the educational portions of his amazing Unstoppable You program. What we did was of a business nature, but what I learned was that there are some very unique philosophical differences between public schools and schools-for-profit. Public schools can take on projects that take years to implement. The client in Texas wants results this fall semester or will look elsewhere. I guess that having such a dynamic speaker as Craig Conrad in the room when schools are deciding if they want to implement the Unstoppable You Program is sort of like having a stacked deck, but Craig’s true, real-life stories are a universal hit wherever he goes, and Texas is no exception. One of the lessons I learned on this trip is that no matter where you go, people are looking for connections placing a high value on people who display the courage to speak truth into the lives of those who are humble and hungry enough to listen. While visiting with the executive staff, we were fortunate enough to break bread together and get to know some of our particular backgrounds. Some of the staff are native Texans, but others come from all over the country and now call Austin home. What is an inspiring lesson for me is that what makes our country great is how so many disparate people can come together and make a connection when the stories are good (and they always are with Craig) and the goals are similar (to teach students how to be successful). As I was sitting at our local McDonald’s one recent Saturday morning, my sons were commenting on how ours is the best they’ve ever been in and how spoiled we are to have such a great restaurant. I explained that owner Chris Nichols obviously takes great pride in his store and the manager, Brenda Elsbree, the service her staff provides for customers. Our family has been to McDonald’s all over this country, and many more in Canada, and I agree with my sons that ours is top notch. The lesson I preached to the boys that day is that wherever you go, whatever you do, and whoever you meet, be proud of where you come from and always put your best foot forward. We’re all from somewhere and this week I learned that there are some impressive people from my town. It’s a place called Craig, Colorado. 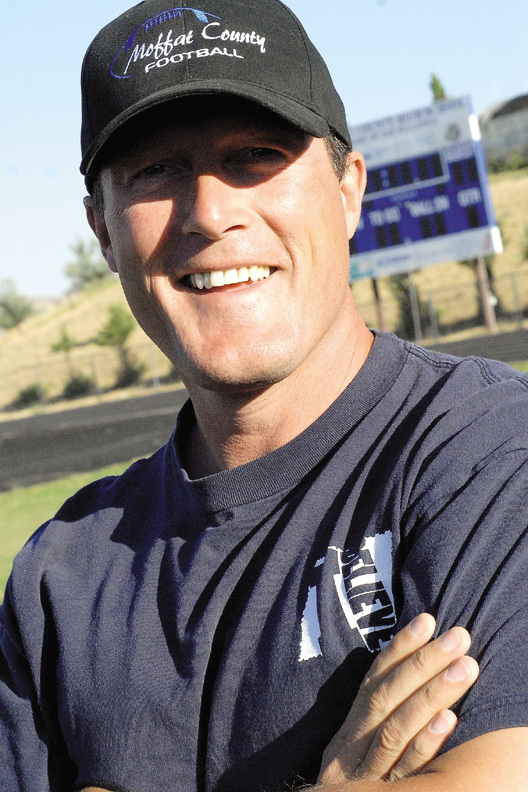 Lance Scranton is a Moffat County High School teacher and coach. He can be reached at lscranton@craigdailypress.com.